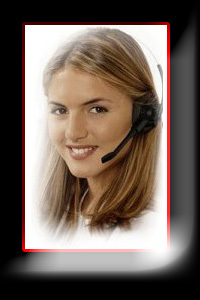 Enjoy the highest commissions while maintaining fair call charges to the end-user. Higher call completions equal higher commissions. Dedicated team of experts assigned to your account. Enjoy a relationship with a coin-less service provider you can trust. Partner with an industry leader with a strategic vision and the ability to continue to deliver revenue and reduce cost within your business. Toll free technical support helps you keep your business operating at peak levels. TTM Operator Services provides solutions to Public Service Providers, including the pay telephone, coin-less telephone, hospitality, ILEC/CLEC, convention and airport industries. Talk Too Me Operator Services’ commitment to service and delivery of meaningful value to our subscribers has resulted in our becoming one of the fastest growing operator service providers in the nation. Our operator center, one of the oldest in the U.S., proudly celebrates a rich tradition of excellence spanning more than one hundred and eight years. TTM operators enjoy excellent working conditions, compensation and incentives. We develop fulfilled, loyal, long-term employees that deliver expert service day after day, year after year. Our philosophy of integrating the best in people, processes and systems has ensured our success and positioned us as the leader in the coin-less service industry. Comprehensive online reporting of all call traffic, commissions, etc. Complimentary support for all major manufacturers equipment. Fair call charges to end-user. Increase call completion rates with TTM's proven systems and processes. Receive alerts when call volume falls beneath anticipated levels. Proactively monitor your entire network to gather financial, operational and technical insight with TTM's ADS online reporting system. Increase revenue with TTM's proven payphone signage program. Use TTM's 211/611 Refund and Repair service to deliver the highest levels of customer satisfaction while reducing cost, fraud, abuse and vandalism. As a TTM subscriber, you profit from huge savings on National Directory Assistance and 1+ Long Distance services at deeply discounted rates. TTM 1+ services provide world-class long distance services at unprecedented rates. Save even more-ask about TTM's T1 service. Talk Too Me Operator Services can be accessed from virtually any location in the domestic United States, Puerto Rico and U.S. Virgin Islands.